Purchasing Power for Romania divided by socio-demographic status, region and county including both the formal and informal economy. Wealth Indicators from Geo Strategies are based on both the formal economy and the informal economy and take account of coupons and other sources of earnings. 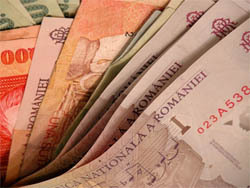 This is particularly important for Romania as the informal economy (black and grey money) is the largest in Europe as a percentage of GDP and is spread unevenly across the population. 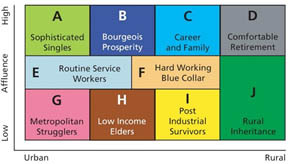 Geo Strategies’ Wealth Indicators are based on 45 sub-divisions of the population by demographic type and, for each sub-division, they also reflect the varying earning power – and hence wealth – of similar types of people and occupations from one county to the next. All data is linked to the official data on earnings and the geographic variations. It highlights the increasing levels of disposable income (or spending power) amongst Romania’s emerging middle class and also the rather high earnings (not always recorded!) of many skilled artisans. Mosaic Global is a single, consistent classification that provides insight into the demographics, lifestyles and behaviours of 880 million people from the world’s population. 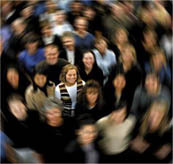 Mosaic Global is a consistent segmentation system that covers over 500 million of the world’s households. It is based on a simple proposition that the world’s cities share common patterns of residential segregation: each has their ghettos of Metropolitan Strugglers, suburbs of Career and Family and communities of Sophisticated Singles. In terms of their values and lifestyles each type of neighbourhood displays strong similarities in whichever country it is found. Using local data from 26 countries and statistical methods, Experian has identified 10 distinct types of residential neighbourhood, each with a distinctive set of values, motivations and consumer preferences, which can be found in each of the countries. For each Mosaic type in each country, the Index value for each of these variables (or close matching proxies) were extracted from the database that was used to create the national Mosaic classification system. The Index shows how the variable compares with all the other types in that country – not in the world or in the countries for which Mosaic classifications have been built. Geo Strategies has received excellent testimonials and words of thanks from prestigious organisations across industries and throughout the world. Here are some of the nice things that customers and collaborators have said about Geo Strategies’ work. “Geo Strategies provided AVON with their “beautiful maps” for their cosmetic marketing and sales strategy. 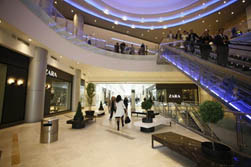 AVON visualise and manage their daily sales report through the AVON Sales Map. 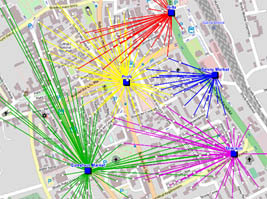 It provides an optimum decision support tool for sales managers helping them to re-define their sales territories according to consumer trends and competitors – Those achievements was possible only by using Geo Strategies solutions which are now an integral decision-support tool for daily operational and future tactical decisions”. “I would like to compliment Geo Strategies for the excellent work, both in designing our data Quality Assurance and Testing Strategy and performing advanced data engineering and GIS projects for H3G”. Experian provides products and services for the financial services industry and for all those commercial activities that benefit from business insight. Geo Strategies is the Romanian partner for Experian Marketing Services which provides technology, data resources, expertise and consultancy for B-2-B and B-2-C to assist with customer engagement and improving business performance. 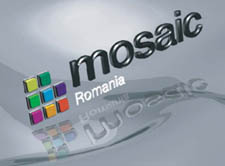 The core product is Mosaic Romania® which is a unique customer segmentation system that classifies each of Romania’s ~20M inhabitants into one of 45 distinct consumer types and 10 identifiable groups. 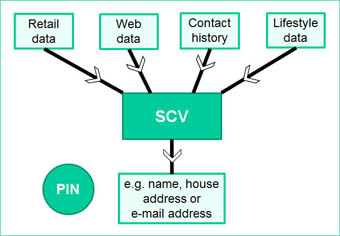 The system was developed in partnership with Experian and provides insight traceable to that for 29 countries world-wide. Micromarketer is an integrated analysis and reporting system which contains a wealth of social, and economic data together with comprehensive maps and databases for Romania. Both Mosaic and Micromarketer are updated on an annual basis to ensure that they keep pace with the latest trends and developments in Romanian society. In 2013, Geo Strategies launched ECCMP (the Experian Cross Channel Marketing Platform) for the local and regional market for cross channel marketing management and optimisation.